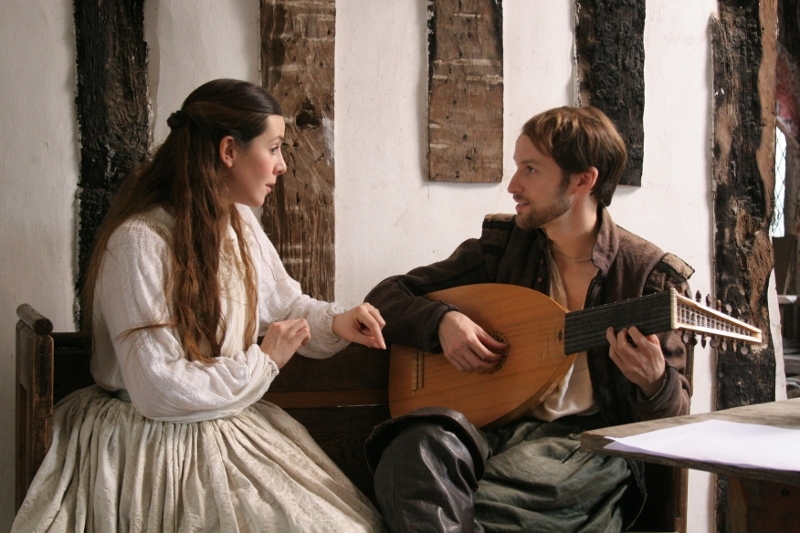 John Wilbye, the greatest of the Elizabethan madrigalists, spent his entire working life in the service of Sir Thomas and Lady Elizabeth Kytson. After Wilbye's second book of madrigals was published in 1609 he appears not to have composed anything else, yet Lady Elizabeth kept him on in the house until her death in 1628, showering him with gifts. So why, when Elizabeth died, did Wilbye throw all this up and spend the rest of his days with her daughter, the divorcee Lady Mary Darcy? Festival favourite, Tony Britten's collaboration with the internationally renowned vocal group, I Fagiolini, this sumptuously photographed film is a feast for movie fans and music lovers alike.